A job our plasterers have recently finished in Ilkley with the push up to Christmas. The ceilings firstly have been over boarded and all Walls sealed with blue grit. 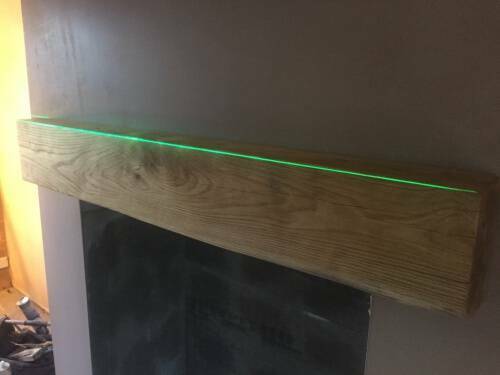 Or plasterers will also fill in and hollow spots beneath the skirting board line with bonding to make a good contact for the new skirting. Thin skim angle bead and are fitted to all the corners and scrim fitted over to stop cracking. The chimney breast was over boarded with 12.5mm plasterboard and Hardie backer boards in the fire chamber. 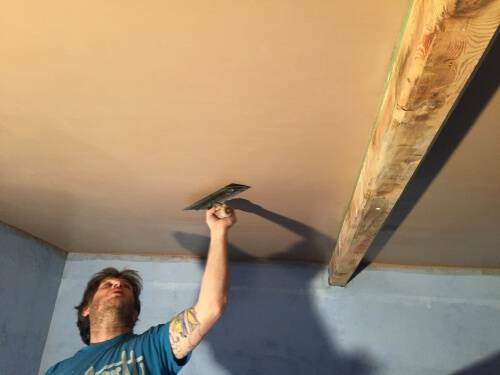 The full room is plastered out with a two coat skim. 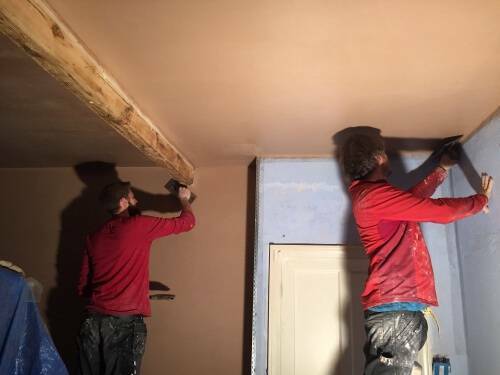 Our plasterers use fibres in the base coat to bind the plaster together and allow longevity from cracking. 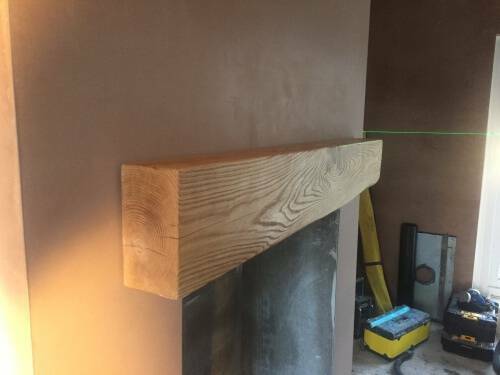 All our plastering is polished up and ready for decorating without any prep work once dry. 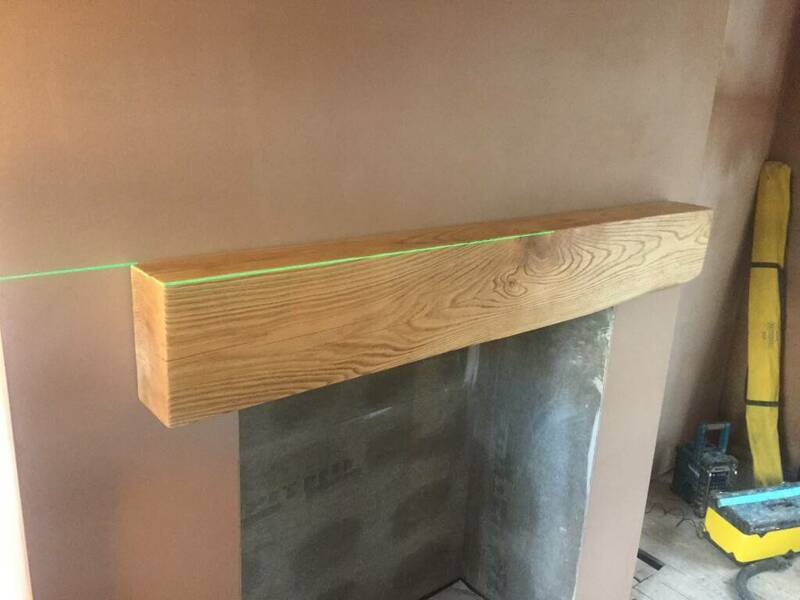 An oak sleeper was cut shaped and oiled for the fire place lintel and fit using threaded bar and epoxy resin. If you would like to speak to one of our plasterers regarding any work then head over to our contacts page. 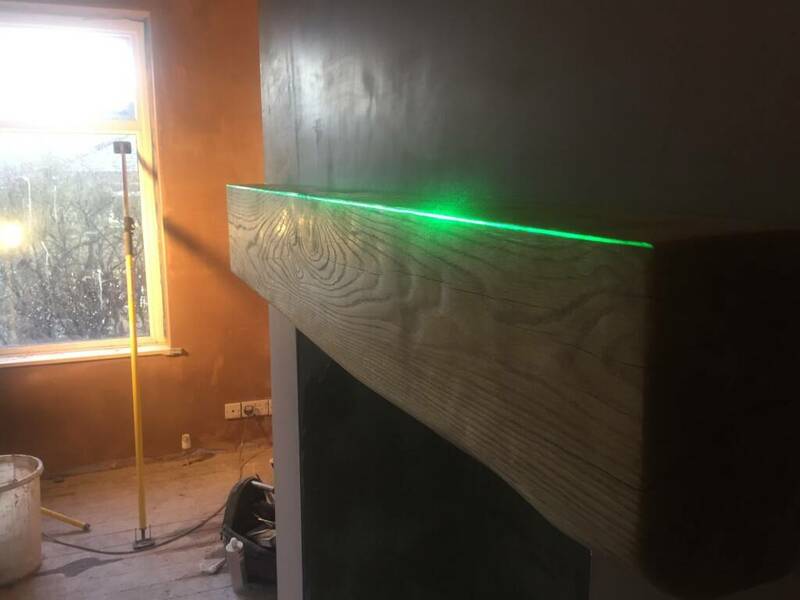 you can see more information regarding our plastering work on our dedicated plastering page in the menu at the top of the page.